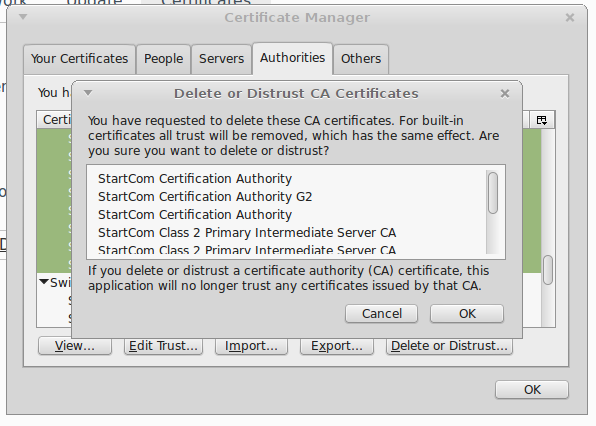 I was setting up an OpenVPN server a while ago. 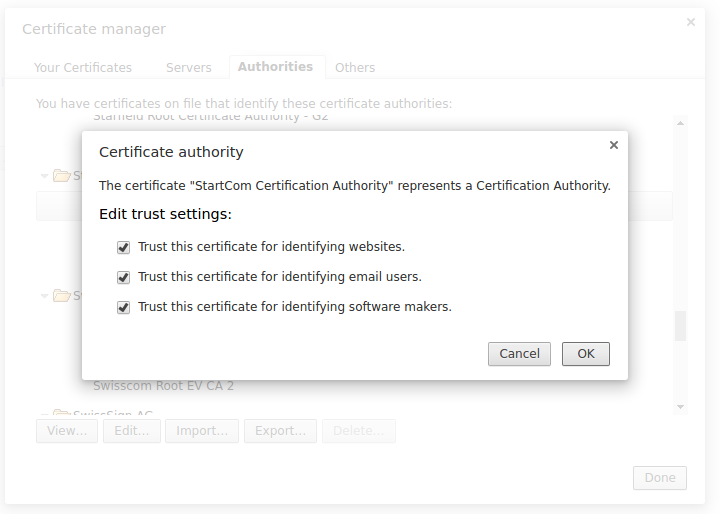 To remove the browser warning on its WebGUI, I used a free certificate from StartSSL because it's more straightforward than Let's Encrypt. 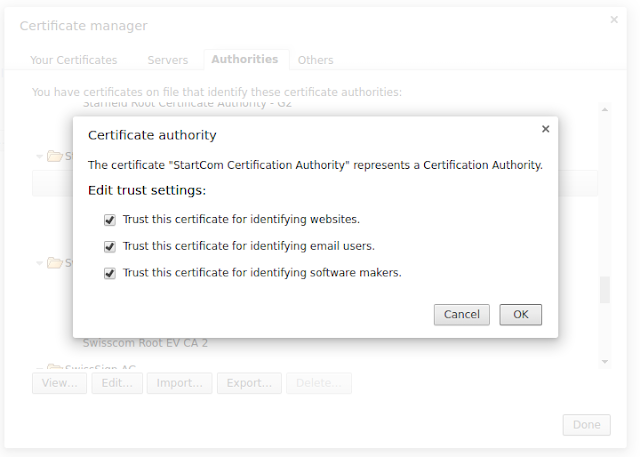 As I was setting up the certificate though, I encountered a couple of articles warning the community about StartSSL. You can read more about it here. At least the chance of being snooped upon by Chinese state hackers is slightly lessened now.